DREAM come true para sa Hashtag Kilig Ambassador Jameson Blake na makapareha si Janella Salvador sa Regal Entertainment movie, So Connected na napapanood na sa kasalukuyan. Ayon nga kay Jameson, “before, people would always ask me, if you would work with a leading lady, who would you choose? 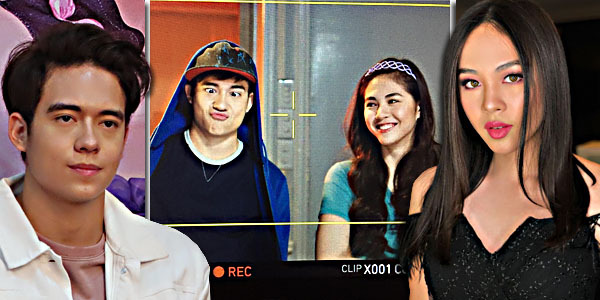 “I’m like, maybe Janella, I think maybe we’d be a good match for a movie. “I’m like, someday baka may movie kami ni Janella, maybe it would come true. I actually dreamt about it. Gagampanan ni Jameson ang role ni Karter, isang video editor for web channel who finds himself falling for a complete stranger (Trisha) after he gets a glimpse of her life in videos and photos uploaded in the online world. Makakasama rin nina Janella at Jameson sina Ruby Rodriguez, Rolando Inocencio, Cherise Castro, Krystal Brimmer, Paulo Angeles, VJ Mendoza, Chai Fornacier, at Rafael Sudayan.